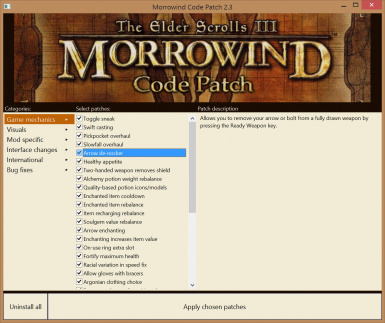 Patches bugs in the Morrowind program, which cannot otherwise be fixed by editing scripts or data files. Cures many crash and save corruption problems. Morrowind Gear Solid - Immersive Role-playing Action Needs to have HD Cutscenes activated. Morrowind Rebirth Tick the box "Bump/reflect map local lightning" in the visuals tab, and the box ”Allow scroll enchant price modifier” in the mod specific tab. 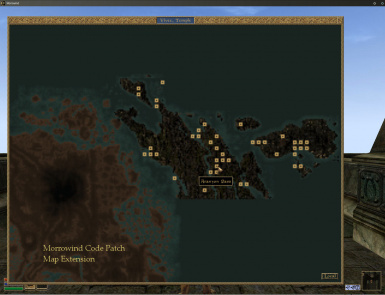 Morrowind Script Extender The Code Patch fixes scripting issues, allowing more scripting mods to function. - Patch program update. Should reduce problems with "Access denied" errors when applying patches. - Followers defend immediately. Followers and summons will now attack an enemy as soon as combat has begun, instead of waiting for the enemy to land a hit. - Ownership tooltip. Tooltip now shows an object is "Permitted" when rented or granted access instead of showing "Owned". - Multiple attribute fortify potions. Potions with up to 8 fortify/drain attributes are now supported. This also prevents crashes when a fortify/drain attribute was the 7th or 8th effect of a potion. - Larger service/chargen menus. Improves the text layout of the alchemy menu. - Un-restrict menu size. Reduces the minimum size of the map window and moves the world/local toggle to the corner to maximize use of space. - Load warning crash fix. Prevents crashes if space is pressed at the moment a load warning messagebox appears. - New patcher GUI. New layout with DPI scaling compatibility. All patcher text is now in json format for translation. - 4GB patch. Integrated into the install process. - Enchanted item rebalance. This option has been split into two options; "Enchanted item cooldown" for the casting cooldown and "Enchanted item rebalance" for the enchant skill scaling. The cooldown is no longer affected by NPCs using enchanted items. - Item recharging rebalance. Fixed patch description to show 100% success rate occurs at over 30 enchant, not at 60 enchant. - Slowfall overhaul. Fixes the framerate-dependence of slowfall and its complete prevention of falling damage. The falling speed of slowfall varied so much depending on your framerate, there was previously no choice but to avoid giving damage. Horizontal air resistance has been reduced to 5% of the original to allow characters to glide, but remember that air resistance still increases with high magnitude spells. - Improved loading speed. Provides better loading times for reloading and restarting the game, when Morrowind is already cached in memory. It also improves speed for people using VSync or windowed mode, and when there are many small mods enabled. - Arrow de-nocker. Allows you to remove your arrow or bolt from a fully drawn weapon by pressing the Ready Weapon key. - Healthy appetite. Eating ingredients always succeeds, giving its first effect and skill advancement. - Better recharging. Allows much simpler recharging of items. When recharging, you now click an item, then select a soul gem to apply to the item. This can be repeated multiple times in the menu until you are done. - Spellmaker/enchanting improvement. Improves the UI when setting spell effects in the spellmaker or enchantment windows. When changing the strength of an effect, increasing the minimum magnitude will increase the maximum magnitude if it is lower, and decreasing the maximum magnitude will decrease the minimum magnitude if it is higher. - Two-handed weapon removes shield. Un-equips the shield when equipping any two-handed weapon. You no longer can benefit from the armour rating or enchantments of the shield while both hands are occupied. - Quality-based potion icons/models. Changes alchemy so that player made potions have an icon and model related to the quality of crafted potions, instead of a randomized icon and model. - First person swim animations. Allows mods to add swim animations that will play in first person view. This has no effect without a suitable animation mod. - Self-enchanting success chance. Displays a percentage chance of success on the self-enchanting menu. - Persuasion improvement. The persuasion menu stays open after you select an option. - Scriptable potion use. Adds the ability for NPCs to drink potions with the Equip script command. It will work both in and out of combat. - See all standard potion effects. Allows the player to see all of the effects on standard potions, instead of a limited number depending on alchemy skill. Player-made potions still show effects based on alchemy skill, as do potions that are flagged 'Blocked' in the Construction Set. - Better haggling. When bartering, allows you to increase or decrease the haggle value by 100 by holding Shift when clicking the [+] or [-] buttons. Hold the button down to add or remove large values quickly; this works reliably due to another fix. - AddItem with levelled items. Adds support for levelled items to AddItem. This allow mods to generate randomized items more easily. See patch description for important details. - Get/SetAngle enhancement. GetAngle and SetAngle can now be used to work with an actor's actual rotation instead of the actor's initial rotation. Adds the U, V, W axes to the SetAngle command, which are mapped to X, Y, Z but applying a ZYX rotation axis order matching the rest of the engine, allowing scripted rotations to be saved and restored properly, as well as being able to use the original rotation of the object. Using UVW axes allows this option to be backwards compatible with item placement mods. - AIActivate enhancement. To improve the usefulness of the AIActivate command, it is now possible to specify that the item argument and actor are swapped before use, to match the Activate command. It is backwards compatible with existing AIActivate using mods. - Avoid blame for neutral NPC deaths. If a neutral (not in combat) NPC dies from a spell effect cast by anyone at the player, the player fully takes the blame and incurs a murder charge. This can happen if a neutral NPC is killed by an area effect spell used by a creature or NPC trying to kill anything else. This patch will avoid charging the player with a crime if the NPC is killed by a third party. - Ownership tooltip. Faction owned items now show the rank requirement that allows you to take the item. - Spellmaking matches editor. The duration of a spell effect can now be set to 0 to create an instant effect. The magicka cost of a spell now matches the cost of a pre-made auto-calculated spell with the same effects. - Allow gloves with bracers. Allows gloves to be equipped at the same time as bracers. Gauntlets still cause gloves to be removed. Note that some visual clipping is inevitable, as many gloves are not closely fitting. - GetSpellEffects tweak. Allows the GetSpellEffects command to detect active enchantments. Potions are not supported due to differences in the alchemy effects handling. - Safe dispose corpse. Actors are not fully treated as dead until their death animation is complete and they can no longer move. The final processing of an actor includes script triggers. Prevents a corpse from being disposed until all game mechanics on the actor are resolved. - Larger service/chargen menus. Increases the size of the birthsign menu to fit larger birthsign names. Increases the width of the stat review menu to allow larger race, class and birthsign names. The repair and recharge menu text alignment has been adjusted. - Show transparent clothes in the inventory. Fixes a problem where most helmets (slot 0) could not be picked up by clicking on the helmet in the player image. - Book and scroll scaling fix. Scaling changed so that books occupy 95% vertical space at all resolutions, which is larger than before at 16:9 aspect ratio. - Better typography. Slight layout change for books, so that words are not located too close to the spine. The topic/quest list in the journal has been re-aligned to stay within the bookmark texture. - Inventory bugs fix. 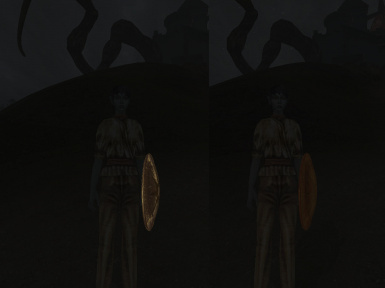 Wearing two identical rings (enchanted or not) and un-equipping the lower one would un-equip both rings, causing a glitch where the ring was separate but not equipped in the menu. It would eventually crash if you tried to manipulate the ring too much, which is now fixed. - Barter gold reset fix. Causes merchants' barter gold to reset as soon as you open dialogue with an NPC, instead of when you open the barter window. This means gold spent on services will be available for bartering. - Script expression parser fix. Fixes problems in the scripting system which caused some strange bugs. Fixes the Random function unable to use certain arguments, and crashing on multiples of 256. Fixes the 34th local variable being unusable in an expression. - Script data fix. Fixes an possible source of crashes when loading or reloading a save game, or starting a new game while in-game. - Fix reading vars from a global script. Allows scripts to read the local variables of any running global script. Previously the engine allowed reading local variables from scripts only through a reference with a script attached. - GetEffect/RemoveEffects fix. Fixes instances where the GetEffect and RemoveEffects script commands would not work correctly, respectively always returning 0 or not removing an effect. - Spell effect tooltip fix. Corrects the problem where the tooltip shows that the source spell of all spell effects from an enemy are the name of an enchanted item, if the enemy has used an enchanted item in combat recently. - MoveWorld Z fix. Fixes MoveWorld, where it behaved incorrectly in the Z direction. - Creature armor rating fix. Updated to improve calculation precision against highly resisted damage. - Ammo fixes. Prevents ammo from being consumed in the case that ammo is equipped but not loaded in the firing weapon, such as when the weapon switches on expiry of a bound longbow. - Shield hit location fix. If no shield is equipped, but an otherwise full set of armor, damage to the shield location would count as unarmored and progress the unarmored skill. This option redistributes hits from the shield location if no shield is equipping; it will randomly select the left pauldron or cuirass location instead. - Incorrect inventory sounds fix. Potion icons now play both Up and Down sounds, instead of just the Up sound for both interactions. Alchemy success and failure sounds are now detectable by scripts. - Mouse cursor movement fix. When the menu is hidden, the mouse cursor still moves as you rotate your view, leaving it in a different position when the menu is opened again. This restricts cursor movement to when a menu is visible. - Sneaking boots penalty fix. Sneaking has a penalty based on the weight of the character's footwear. Shoes (clothing) was calculated correctly, but boots (armor) had an effective weight of zero for sneaking. This option corrects the weight measurement to check armor as well. - GetWeaponType fix. When a lockpick or probe was equipped, GetWeaponType would return 0, the same as if a short blade was equipped. This could cause problems with weapon detection. Now GetWeaponType returns -2 for lockpicks and -3 for probes. - Probe quality fix. There is a mechanic where a trap can be too complex to probe. This patch fixes the probe calculations such that higher quality probes can reduce this complexity level to where they are possible to probe. - PlaceAt / Drop fix. PlaceAtMe places objects relative to a target object. The placed object inherited the target's rotation, but not its scale. This fix makes the scale also inherit, to allow simple in-place replacement of objects with PlaceAtMe. - RemoveItem weight fix. The RemoveItem command would always reduce encumbrance by (specified quantity * object weight), no matter how many objects actually existed in the inventory. This fixes RemoveItem to reduce encumbrance correctly. - Bow sound glitch fix. Solves weapon sounds triggering multiple times when firing bows and crossbows. - Creature voiceover modding. Added ability for creatures to play Attack voiceovers. - CellChanged fix. Makes the CellChanged function reliable. Previously, it did not reliably trigger if the player was moved into a cell via script, either directly or by the Activate function on a scripted door. - NPC minor behaviour fixes. AIActivate package now ends properly once the target is activated. Picking up items no longer causes a huge number of copies to be created in the NPC inventory. Crashes due to interacting with picked up or deleted items fixed. NPCs can now open an unlocked but closed door, instead of treating the door as if it was locked. Cast-on-use enchanted items cast by NPCs now start recharging normally, instead of requiring the player to cast it to activate recharging. - Multiple summons overlap fix. When multiple creatures were summoned in a single cast, they would always appear at exactly the same location, making it look like only one creature was summoned. This fix slightly changes the summoning distance for every summoned creature so that multiple creatures separate immediately. This also works to separate multiple summon spells cast at the same target location. - Allow multiple fortify potions. This will no longer generate multiple fortifies or drains of a single attribute when three or more ingredients with that effect are combined. - Barter haggle fix. Corrects the problem where holding the mouse button down on the barter menu [+] and [-] buttons did not cause the haggle amount to continue increasing or decreasing while the button is held down. - Menu mode world interaction fix. While in the alchemy, self-enchantment, self-repair or recharge menus, it was still possible to pick up items from the world with the cursor. Performing crafting actions while an item was attached to the cursor could cause inventory glitches. To avoid these problems, you now cannot pick up items from the world while in crafting menus. - Russian fixes. Fixes the width of the level up window to avoid cutting off the personality attribute value. - NPC rank change fix. Makes the game save changes to an NPC's faction rank, when it is modified by the RaiseRank and LowerRank script commands. - Repair item fixes. Fixes ghost item/crash problems with repairing bound weapons and armor by disabling the repair of bound items. - Mercantile fix. Repairs on minorly damaged items that appear to cost 1 gold, now correctly deduct that 1 gold. - Disintegrate weapon fix. Fixes the Disintegrate Weapon magic effect, which was causing no damage to weapons in full condition. Fixes disintegrate over time effects applying a reduced amount due to rounding errors, by silently converting all disintegrate effects into instant effects. - Bound items expiry fix. When a bound armor spell is cast, the game should remember the last worn item in those slots it replaces. This didn't work for clothing or bracers. Gloves, bracers, and shoes are now re-equipped correctly after an armor spell expires. - Incorrect inventory sounds fix. Changes inventory pickup and drop sounds for axes and throwing weapons to more correct sounds. Changes potion use sound to the correct drink sound instead of swallow. Allows use of GetSoundPlaying with drink and swallow sounds. Also allows use of GetSoundPlaying with the skillraise sound. - Inventory sounds for axes. Allows a mod to set axe inventory sounds instead of them sharing a sound ID with another weapon. - Strength-based hand to hand damage. No longer multiplies werewolves' damage. - Water environment sound fix. Prevents the underwater sound effects from disappearing when you use a door from one underwater area, to another underwater area. 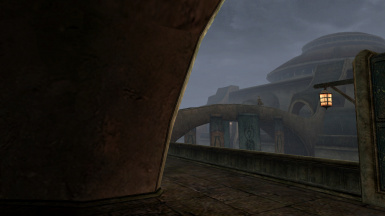 Fixes the choice of water ambience sound; the game now uses morrowind.ini settings NearWaterOutdoorID for nearby water in exteriors, and NearWaterIndoorID for interior water. - 'Talked to PC' extension. Changes the 'Talked to PC' dialog flag to only be set when you say goodbye to an NPC. - Confiscated item fix. Prevents guards from always taking items they have confiscated before. Merchants will no longer seize items stolen from their faction containers in the past. Taking items belonging to dead people not longer marks the item as stolen. - Ownership tooltip. Items you look at will show if they are 'Owned' or 'Faction Owned' in their tooltip. - Russian fixes. Fixes the width of the spell effect creator window. The window was too narrow, cutting part of the duration slider. - Compatibility. Allows patching of the Cenega TES Anthology version of Morrowind, Polish and English versions. - Fix enchant options on ranged. Prevents the "Cast on Strike" enchanting use option from appearing for bows and crossbows. - PlaceAtPC / Drop fix. Fixes the script command "Drop" to drop items at the owning actor's feet instead of near the player or where the player is looking. - Creature voiceover modding. Allows creatures to play Hello and Idle voiceovers. - Createmaps/fillmaps fix. 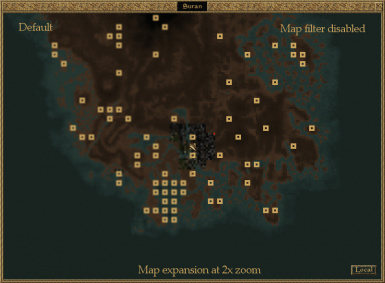 Fixes the fillmaps command to display locations from all mods instead of just Morrowind. - Level-up stats bug fix. Fixes a bug where the UI would display two overlapped multiplier labels if an attribute had exactly 3 level-ups. - Lock level scripting. Modifies the GetLevel script command to additionally work on locked objects. It returns the lock level, 0 for unlocked, and -1 for items without a lock. - Weapon reach issues. Fixes fHandToHandReach to work for the player too, not just for NPCs. - Shortcut key improvements. When examining a container, you may take all items by pressing the "Ready Weapon" key. - Self-enchanting fix. Corrects the chance of successfuly self-enchanting an item with multiple spell effects. Also adjusts the enchanting UI to stay open if self-enchanting fails, to allow multiple attempts at the same enchant with spare soul gems. - Ammunition fix. Corrects the counter on ranged ammunition inventory icons when the equipped ammunition was hidden by an inventory filter. - Dropping from inventory fix. Fixes a very specific situation where dropping items to the ground while levitating or falling, and also in third person, would cause the item to be lost. - Placeitem fix. Correctly saves items placed by scripts into cells that the player has not visited yet. Previously the item would be placed, but the game would not save the new item unless the player has visited the target cell. Affects the PlaceItem and PlaceItemCell commands. - Creature magicka/fatigue fix. Creatures have independent settings of maximum magicka and fatigue, which are replaced with an auto-calculated value after saving/loading or attribute changes. This fix modifies the scaling of creature magicka with intelligence, and disables the recalculation of creature fatigue. - Enchanted item rebalance. Updated: The enchanted item cooldown is 3 seconds, down from 4 seconds. Enchant skill 100 allows 1.66x casts from a full charge, up from 1.33x. The fading recharge icon has a clearer division between charging and ready. - Summoned creature crash fix. Updated to correct a problem with the fix which crashed when a summon killed its own summoner with a spell. - Knocked out NPCs. Updated so it only affects stealing, and no longer allows dialogue or other interaction with hostile NPCs. - Improved animation support. The player can now display idle animations through the use of playgroup/loopgroup scripting. - Loud interface / gameplay sounds fix. Fixes many more occurrences of maximum volume sounds. - Position/PositionCell fix. Fixes an issue with actors teleported in with PositionCell that prevented NPC scripting from running correctly, and properly activates actor collision when an actor is moved to the current cell. Fixes some quests involving Arena duels. - Better spell merchants. A merchant's list of spells for sale now includes the spell magicka cost. The list of available spells will no longer include the powers, abilities, diseases or curses that the merchant may also have. - Travel price fix. Fixes incorrect counting of passengers (player + companions) with all travel services, which were intended to charge per passenger. - Trainer price/stat fix. Trainers now only choose which skills to train using their base skill points, allowing mercantile improving effects to be used without making mercantile an offered skill. - Telekinesis fix. Fixes telekinesis to allow long distance interaction with lights, ammunition, books, and activators. - Map-texture conflict fix. Allows "_land_default.dds" to be replace with a texture of a different size, without breaking the world map. - NPC minor behaviour fixes. Minor improvements to fleeing AI, how followers handle knockdown, and NPC light-source equipping. -- Followers that are knocked down will no longer be forced to follow you in a glitchy knockdown state. They will stay down until their fatigue becomes positive. -- NPCs fleeing from combat use the correct flee distance, instead of fleeing a very short distance and stopping all actions. Only relevant with modded AI settings. -- At night, NPCs will no longer try to use light sources which are not marked as equippable. - NPC AI casts zero cost powers. Moved to "Mod related features" section, only recommended for use with a mod. - Ammo damage tooltip. Item tooltips will now show the damage range on ammunition. - Alchemy naming/stacking fix. All potions created will now be stacked properly in the inventory, instead of adding a new icon for every new potion. - Larger service/chargen menus. Now increases the size of merchants' spells service and repair service menus. - Resolution options fix. Allows the setting of all available resolutions in the options menu, instead of only resolutions with 4:3 aspect ratio. - Level-up skills tooltip. In the player level tooltip, the number of skill level-ups linked to each of your attributes are added. This reduces the confusion of remembering which skills to raise for your next level. - Inventory bugs fix. Corrects the encumbrance bar in the companion share window overlapping the text to its right. Corrects the display of item stacks of size 10000 or more in containers. - Convenient defaults. On loading a game, sets the player movement to running instead of walking, and sets the map to display the world map instead of the local map. - Hang on loading fix. Fixes errors in Morrowind's script parser that caused occasional hanging (or more rarely errors) during the "Initializing Data" phase, when loading savegames. It should also speed up this phase of loading. - Better ingredient and item selector. A much improved menu for selecting components. 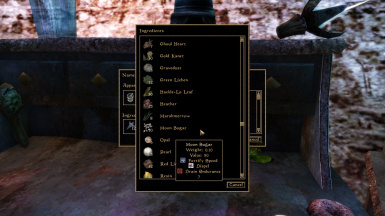 Affects selecting ingredients, enchanting items and the quick item menu. - Spell select by name. Allows selecting spells by pressing the first letter of the spell, while in the inventory menu. Repeat presses will cycle through all spells starting with that letter. You can reverse cycle by holding down the Ctrl key. It will only select spells, not powers or magic items. The spell selection only operates after the inventory is open. Any menu which takes key input will turn off the feature until the inventory is next opened. - Book and scroll scaling fix. Makes books, scrolls and the journal scale to fit wider screens by examining the screen height instead of the width. Fixes issues with multi-monitor setups, where the book would be larger than the screen, with all buttons off-screen. - Better typography. Improves the layout of books, scrolls and the journal. Pages have more words per line, and lines per page. The quest and topic list is wider, and wraps less. Scrolls have their text area increased to fill the available space as much as possible. Realigned for default book texture. Journal bookmark menu has a new layout. Texture replacers need to be adjusted to fit. - Improved inventory filters. Tweaks the inventory filter tabs. Magic group: No weapons or apparel, now holds scrolls, potions and soul gems. Misc group: All misc items except enchanted scrolls and soul gems. - Repair item fatigue fix. Fixes an oversight where fatigue (a low fatigue bar) would increase the chance of repairing an item and the amount repaired instead of decreasing it. - Vanity camera lock. Should now be fixed relative to the player, previously it didn't account for mouse sensitivity options. - Hit fader fix. Prevents red damage border from getting stuck on cell change. - Don't loot on dispose. Prevents picking up all the items on a body when you Ctrl-click the Dispose Corpse button. The items will disappear with the body. - Attribute uncap. Allows levelling of the eight main attributes past 100. - Skill uncap. Allows levelling of skills past 100, including mod*skill script commands, skill books, and prison stays. - Light spell fix. Fixes a lot of problems with the Light magic effect. Fixes pop-in and flat lighting. Works best in interiors. - Allow faction leaving. Allows the removal of a player from a faction by script, leading to new quest possibilities. - Slow movement anim fix. Allows very slow creature animations to load without causing an error. - Mod removal fixes. Re-activates script triggered objects after the script mod is removed from the load list. Solves problems like un-openable containers after mod removal. - Fix enchant options on bows. Prevents the "Cast on Strike" enchanting use option from appearing for bows. - Prevent empty messages. Stops all empty message notifications from appearing. - Hidden traps. Probes will always use a charge when testing an object, even if there is no trap present. - Hidden locks. Hides the display of locks and lock levels. Instead, listen for sounds and watch for messages while picking. - Weapon resistance change. Enchanted weapons no longer bypass the "normal weapon resistance" effect that many daedra possess (e.g. ghosts, dremora), only the weapon setting "ignore normal weapon resistance" matters. This requires mod support to work. - Persuasion improvement. The persuasion dialogue option opens the persuasion menu over your pointer, instead of the centre of the screen. - Animated container crash fix. Fixes crashes from accessing animated containers. Should work both with players and merchants accessing containers. - Voiceover script functions fix. Fixes the StopSound command to avoid always muting actor voices and torch noise. StopSound properly match the sound ID to be removed, if it is specified, instead of muting all actor sound. Fixes SayDone triggering on animation SoundGens and StopSound. - PlaySoundVP volume fix. The PlaySoundVP and PlaySound3DVP commands ignored the volume parameter, because someone forgot to write the code for it. - StreamMusic fades out. Scripted music fades like regular music. - Allow short weapon reach. Weapons can now have a shorter reach when modded. Disables the way Morrowind clamped weapon reach to a minimum of 1.0. - Mercantile fix. Zero value items are no longer buyable or sellable for 1 gold. - Swift casting. Allows casting from any stance with the ready magic button. Ready spell stance is still available with the M key. - Summoned creature crash fix. Prevents crashes from spell effects bound to creatures that have been unsummoned. - Blight storm disease disable. Prevents invisible inactive blight diseases being added in blight storms. - Alchemy name bug. Now also stops custom potion names from being reset every time a potion is made. - Alchemy weight rewrite. Fixes exploitable potion weight calculations. Prevents potion weight approaching zero if you make several kinds of potion in one go, and stops useless ingredients making potions lighter. Potion weight is now (0.75*total ingredients weight + 0.35) / (0.5 + alembic quality). - Russian Argonian swim animation. Argonian specific swim animation wasn't playing due to the translated race name. - Racial variation in speed fix. Normalizes race speed. Orcs were up to 35% faster and Bosmer up to 5% slower than baseline before any stats were taken into account due to body scaling. - Trainer price/stat fix. Trainers no longer refuse to train you if your fortified skill points is above theirs, but not your base skill. They also no longer train 1 point past their level. Relatedly the progress bar when you mouseover a skill does not go away if your fortified skill is above 100, but not your base skill. - Game formula corrections. fFatigueSpellBase/fFatigueSpellMult that controls fatigue generated by spellcasting is fixed. PC/NPC weapon damage can now be controlled by the fDamageStrengthBase/Mult GMSTs. - Creature armor rating. Creatures now gain AR and therefore damage reduction from shield spells. The GMST damage reduction cap does not limit creature AR. - Disable weapon transition on unequip. Skips the short put away weapon state on all unequip actions and when switching to hand to hand. Simplifies state detection with weapon mods. - Pickpocket rewrite. - Pickpocket mechanic was broken by default, overhauled to be much more usable, with difficulty based on weight. - Slowfall on companions fix. Stops companions with slowfall dying on cell transition. - Drain intelligence exploit. Prevents intelligence drained to zero from fully restoring magicka when the drain expires. - Mouseover menu fixes. Doesn't display next rank for factions with less than 10 ranks that you are a max rank with. Corrects birthsign menu spell text ordering so spells and powers come under the correct headings. - UI display quality fix. Removes texel misalignment blur. Makes all text and icons as sharp as the source textures. Serious interface clarity improvement. MGE has issues with this fix and draws shaders over the UI. - Shortcut key improvements. Allows the dialogue window, books and scrolls to be closed with space. In the inventory, full stacks are picked up by default and shift-click instead opens the quantity menu. - Detect water level fix. GetWaterLevel returns around -1e9 for cells with no water, preventing mods for incorrectly thinking you are underwater. - Service refusal filtering. Allows modders to filter service refusal by individual service type. The choice function indicates service type (see MCP description). - Scripted music uninterruptible. Prevents combat music from interrupting music played by mods. - Journal text colouring. 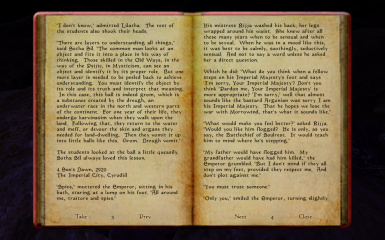 Text that rendered as full black can have the colour changed by the color_journal_topic entry in morrowind.ini. - Vanity camera lock. Allows the moveable vanity camera to stay active after the key is released. It also loosens the restrictions on camera position. - Polish character corrections. Corrects dialogue font Ó and c (they normally display as O and é) when used with Better Dialogue Font Polish version. - Detect life spell. Changes the Detect Animal spell effect to detect both NPCs and creatures, instead of just creatures. - Item recharging rebalance. Doubles success rate of recharging, and sets a minimum guaranteed percentage recharged depending on your enchant skill and stats. - Increase light falloff removed. 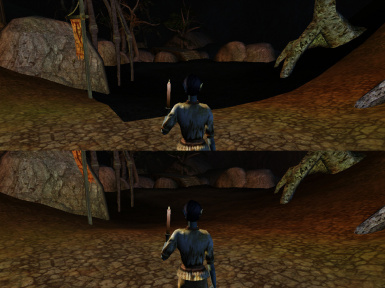 Caused problems with lighting mods and areas with a high density of light sources, where extra lights like the player's torch would not function due to Direct3D lighting limitations. Lighting seams can be better solved with mesh partitioning. - Enchanting increases item value. Value increases rebalanced again to avoid excessive prices with weaker enchantments in combination with weak souls. - Show transparent clothes in inventory. Code rewritten to avoid issue that rarely caused a red screen tint and broken font rendering. Morrowind is a game of great depth, a huge world, incredibly extensible and with a thriving community. Unfortunately it's also full of bugs. This is our attempt at defeating the worst bugs in the game, including save corruption; and also adding a few more features people have dreamt of. All fixes and gameplay changes included are optional, you can independently select which ones you want to use in the installer. Gameplay changes are turned off by default. Compatible with English, West European, Polish, Russian, Steam editions and the Cenega TES Anthology (Polish and English). Compatible with MGE, MWSE, MWE, and FPS Opt 1.96. Not compatible with the Impulse/Gamefly version of Morrowind (due to DRM), nor FPS Opt 2.0. If you have the Steam version, MCP will redate your BSAs automatically when the patch is applied. This allows replacer mods to work correctly without the work of redating manually. See the readme for install and upgrade instructions. MCP requires Microsoft Visual C++ 2010 Redistributable Package (x86). Most people have it already, but if you get an MSCVR100.dll error, you need to install this. I also recommend using Better Dialogue Font for more readable text at higher resolutions. - Savegame corruption fix. Fixes the mod matching system, to avoid many sources of game corruption. You can now change your load order without problems. Adding mods to your savegame will now cause much less issues. It also makes saving much cleaner, minimizing things like missing NPCs and objects (the local ref bug). - Delayed spell crash fix. Fixes a crash situation where uncast spells remained in memory or savegame. - Summoned creature crash fix. Prevents crashes from spell effects bound to creatures that have been unsummoned. Updated to correct a problem with the fix which crashed when a summon killed its own summoner with a spell. - Initializing data fix. Fixes errors in Morrowind's script parser that caused occasional hanging (or more rarely errors) during the "Initializing Data" phase, when loading savegames. It should also speed up this phase of loading. - Mercantile fix. Merchants should no longer pay less for an item with increasing mercantile skill. Zero value items are no longer buyable or sellable for 1 gold. - Unarmored fix. Unarmored skill now gives proper damage reduction when you are fully unarmoured. Previously you had to wear at least one piece of armour to get any armour rating contribution. - Calendar fix. The year now has the full 12 months, starting at Morning Star, and all months have correct number of days. - Merchant equipping fix. When selling to a merchant, they may equip any item they can use, which means it is no longer possible to buy that item back. Now any NPC that barters should no longer equip anything you sell them. - Restore/drain attributes fix. Restore attributes spells did not recognise Fortify effects when restoring. Restore attributes spells now restore up to your fully fortified amount. - StreamMusic / master volume fix. The StreamMusic script command always sets music volume to maximum, this patch prevents that. Scripted music fades like regular music. - Loud interface/gameplay sounds fix. Fixes many more occurrences of maximum volume sounds. - Level-up stats bug fix. Stats that would level to 100 or higher on levelup would get their multiplier reduced to 1 if the stat was on the left column of the level up window. Fixes a bug where the UI would display two overlapped multiplier labels if an attribute had exactly 3 level-ups. - Bound items expiry fix. When a bound item spell expires it no longer forces you into combat stance. When a bound armor spell is cast, the game should remember the last worn item in those slots it replaces. This didn't work for clothing or bracers. Gloves, bracers, and shoes are now re-equipped correctly after an armor spell expires. - Fog of war fix. Fog of war should no longer stop revealing or update an area a long distance away. - Intimidate fix. Fixes disposition not increasing by minimum amount on successful intimidate actions (on marginal wins). - Stable enchantment sort. Enchantments in the spell menu always sort alphabetically instead of sometimes switching to sorting by inventory order. - PlaceAtPC / Drop fix. In third person, should make placed objects land at the correct distance instead of at the player's feet. Fixes the script command "Drop" to drop items at the owning actor's feet instead of near the player or where the player is looking. - Spell deselection fix. Fixes player spell deselection when an NPC unequips / uses up a magical item. - Calm spells fix. Calm humanoid and calm creature force the target out of combat, whatever the magnitude of the spell. With this patch, NPCs and creatures leave combat only if they are sufficiently calmed. - Vampire stats fix. If you had constant effect items equipped when you became a vampire, your stats could be increased by more than they should have (as noted in the GCD readme). The cause was a bug in the Fortify Attribute spell when used as an ability. This fix does not change your stats if you are already a vampire. - Reflected spells fix. When you cast an absorb spell and it's reflected, you absorb from yourself and the enemy gets nothing. Apparently not as intended. Now the enemy will absorb from you instead. - Show transparent clothes in the inventory. Transparent items now show up properly on the figure (paper doll) in the inventory window. Depending on video card and driver, this may rarely cause slight graphical issues with other transparent objects. Fixes a problem where most helmets (slot 0) could not be picked up by clicking on the helmet in the player image. 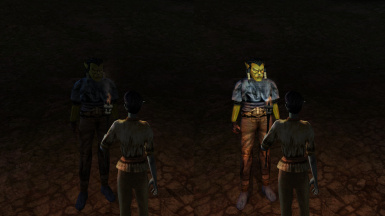 - Allow reflection effects on skinned models. Allows skinned objects to have shiny reflection maps. - Enchant glow in fog fix. Enchanted items no longer turn white underwater, in dust storms or fog. - Show NPC health bar on healing. Restore spells now activate the NPC health bar as well, allowing you to see the effect of your healing. - Disposition fix. When talking to someone while under the effect of a personality increase that would push disposition over 100, extra disposition could be lost when the effect expired. This should no longer happen. - Spell magnitude fix. Spells with a variable magnitude (eg. 5-10pts) which affect an attribute, skill or rating would rarely ever achieve the highest (eg. 10pts) magnitude when cast. Now the highest magnitude should have an equal chance to appear. - Dispel fix. Dispel is a chance-based effect, but it would invisibly stack with itself if cast multiple times, until any dispel would always succeed. This makes dispel work as described. - Creature armour damage fix. Creatures that didn't wield weapons but struck with their body wouldn't cause armour damage. This allows them to do so. - Inventory bugs fix. Fixes issues/crashes with inventory updates when using potions/ingredients via quickslot; companions using soul trap and prevents inventory bugs when using companion rings, teleport rings or similar items. Corrects the encumbrance bar in the companion share window overlapping the text to its right. Corrects the display of item stacks of size 10000 or more in containers. - NPC potion use AI. Potions used to be drunk without waiting for their effects to finish, meaning an NPC could go through its whole supply in a second. Potion drinking is now limited to once every 5-6 seconds game time. - Blind fix. The Blind effect gave an attack bonus to the PC instead of a penalty. This should no longer happen. - Gloss map fix. Morrowind removed gloss map entries from model files after loading them. This stops Morrowind from removing them. - Lighting fixes. Corrects several lighting errors and optionally increases light falloff range. - Particle effects fixes. Corrects particles peeling away from weapons and projectiles. - Projectile aiming fix. Corrects aiming errors for 1st person and 3rd person. - Waterwalk fix. No longer causes a check for fall damage if cast while swimming. - Training prices/stats. Training price now depends on base skill level instead of fortified/drained skill. - Trainer price/stat fix. Trainers no longer refuse to train you if your fortified skill points is above theirs, but not your base skill. They also no longer train 1 point past their level. Relatedly the progress bar when you mouseover a skill does not go away if your fortified skill is above 100, but not your base skill. Trainers now only choose which skills to train using their base skill points, allowing mercantile improving effects to be used without making mercantile an offered skill. - Travel price fix. Fixed to charge amount displayed instead of base price. Fixes incorrect counting of passengers (player + companions) with all travel services, which were intended to charge per passenger. - Createmaps/fillmaps fix. Causes the createmaps command to skip over interiors, reducing the amount of time it takes to complete. 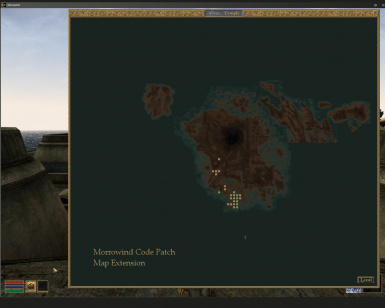 Fixes the fillmaps command to display locations from all mods instead of just Morrowind. - Better quality splash and title screens. Fixes colour depth issues which reduced splash/title screen quality. - Magicka display accuracy. Causes the magicka display (and all stats displays of the form "current/max") to round down, so that it does not falsely indicate you have more magicka than you do. Also affects the 'charges remaining' display for items in the magic menu. - Spellmaker/enchant edit effect fix. When editing an existing spell effect, the effect range [Touch/Ranged/Self] is no longer reset. - Save file limit warning. Warns you when you go to save and have a large number of save files (over 200) in the directory. - Alchemy naming/stacking fix. Stops Morrowind from randomly claiming you should enter a name for a potion, when a name is present. Now also stops custom potion names from being reset every time a potion is made. All potions created will now be stacked properly in the inventory, instead of adding a new icon for every new potion. - Allow multiple fortify potions. Allows potions to have multiple fortify/drain attribute effects, where it would previously allow only one of the attributes fortified/drained in a set of ingredients to appear in the potion. Potions with up to 8 fortify/drain attributes are now supported. This also prevents crashes when a fortify/drain attribute was the 7th or 8th effect of a potion. - Blight storm disease fix. Prevents invisible inactive blight diseases being added in blight storms. - Game formula restoration. fFatigueSpellBase/fFatigueSpellMult that controls fatigue generated by spellcasting is fixed. PC/NPC weapon damage can now be controlled by the fDamageStrengthBase/Mult GMSTs. - Drain intelligence exploit fix. Prevents intelligence drained to zero from fully restoring magicka when the drain expires. - Armor indicator fix. Updates the inventory armor indication to show your actual armor rating when you cast a shield spell or your armor skills increase. - Repair item fixes. Fixes an oversight where fatigue (a low fatigue bar) would increase the chance of repairing an item and the amount repaired instead of decreasing it. Fixes ghost item/crash problems with repairing bound weapons and armor by disabling the repair of bound items. - Book and scroll scaling fix. Makes books, scrolls and the journal scale to fit wider screens by examining the screen height instead of the width. Fixes issues with multi-monitor setups, where the book would be larger than the screen, with all buttons off-screen. Scaling changed so that books occupy 95% vertical space at all resolutions, which is larger than before at 16:9 aspect ratio. - Water environment sound fix. Prevents the underwater sound effects from disappearing when you use a door from one underwater area, to another underwater area. Fixes the choice of water ambience sound for exteriors and interiors. - Voiceover script functions fix. Fixes StopSound and SayDone script commands for voiceover mods. - Weapon reach issues. Weapons can now have a shorter reach when modded. Disables the way Morrowind clamped weapon reach to a minimum of 1.0. Fixes fHandToHandReach to work for the player too, not just for NPCs. - Fix enchant options on ranged. Prevents the (useless) "Cast on Strike" enchanting use option from appearing for bows/crossbows. - Disintegrate fix. Fixes the Disintegrate Weapon magic effect, which was causing no damage to weapons in full condition. Fixes disintegrate over time effects applying a reduced amount due to rounding errors, by silently converting all disintegrate effects into instant effects. - Self-enchanting fix. Corrects the chance of successfuly self-enchanting an item with multiple spell effects. Also adjusts the enchanting UI to stay open if self-enchanting fails, to allow multiple attempts at the same enchant. - Placeitem fix. Correctly saves items placed by scripts into cells that the player has not visited yet. - NPC minor behaviour fixes. Minor improvements to fleeing AI, how followers handle knockdown, and NPC light-source equipping. AIActivate package now ends properly once the target is activated. Picking up items no longer causes a huge number of copies to be created in the NPC inventory. Crashes due to interacting with picked up or deleted items fixed. NPCs can now open an unlocked but closed door, instead of treating the door as if it was locked. Cast-on-use enchanted items cast by NPCs now start recharging normally, instead of requiring the player to cast it to activate recharging. - Russian fixes. Argonian specific swim animation wasn't playing due to the translated race name. Fixes the width of the spell effect creator window. The window was too narrow, cutting part of the duration slider. Fixes the width of the level up window to avoid cutting off the personality attribute value. - Polish keyboard support. Allows typing of Polish characters in-game. - Map expansion. Increases the area shown on the world map by approximately 2x to cover all of Tamriel Rebuilt. Optional. Now with zoom. - Rain/snow collision. Rain and snow now collide with statics. - Toggle sneak. Sneak key toggles sneak mode on or off. - Spell select by name. Allows selecting spells by pressing the first letter of the spell, while in the inventory menu. Repeat presses will cycle through all spells starting with that letter. - Better typography. Improves the layout of books, scrolls and the journal. Pages have more words per line, and lines per page. The quest and topic list is wider, and wraps less. Slight layout change for books, so that words are not located too close to the spine. The topic/quest list in the journal has been re-aligned to stay within the bookmark texture. - Disable weapon transition on unequip. Skips the short put away weapon state on all unequip actions and when switching to hand to hand. May be useful for certain mods that detect weapon state. - UI display quality fix. Removes texel misalignment blur. Makes all text and icons as sharp as the source textures. Serious interface clarity improvement. MGE has issues with this fix and draws shaders over the UI, so it's only usable if you don't enable shaders. - Shortcut key improvements. Allows the dialogue window, books and scrolls to be closed with space. In the inventory, full stacks are picked up by default and shift-click instead opens the quantity menu. When examining a container, you may take all items by pressing the "Ready Weapon" key. - Vanity camera lock. Allows the moveable vanity camera to stay active after the key is released. It also loosens the restrictions on camera position. Mouse movement should now be fixed relative to the player, previously it didn't account for mouse sensitivity options. - Fortify maximum health. Changes fortify health to behave like fortify maximum health. - Unrestrict menu size. Allows stats menu and magic menu to be resized without limit. Reduces the minimum size of the map window and moves the world/local toggle to the corner to maximize use of space. - Arrow enchanting. Allows the enchanting of arrows, bolts, and throwing weapons. It will enchant a number of items equal to one-quarter the soul charge of the soul gem. This is not considered balanced, but a fun feature. - Enchanting increases item value. Previously, items you enchant had the same value as the unenchanted version. With this patch, the newly enchanted item increases in value based on the enchantment capacity used, and item type. Rebalanced over earlier versions. - Allow stealing from KOed NPCs. This patch allows you to steal from NPCs that have been knocked out. Previously you would get a 'You are in combat' message. Updated so it only affects stealing, and no longer wrongly enables dialogue or other interaction with hostile NPCs. - Spellmaking max. magnitude increase. Spellmaking/enchanting limits spell magnitudes to 100. Certain effects should be usable above that level (ie. feather). Spell magnitude limit has been increased to 500. - Spellmaking max. duration reduced. Reduces spellmaker spell duration cap to 300 from 1440. Makes dragging the duration bar more precise. - Spellmaker/enchant multiple effects. The spellmaker would not allow you to add most spell effects more than once. It now allows you to add a spell effect multiple times with different parameters. Enchant maker now supports multiple effects, as with the spell maker. - Spellmaker area effect cost. Adding a large area effect to spells had a cost which was independent of the spell magnitude. For balance and realism, large area spells should cost significantly more than they do. - Exhaust NPCs with damage fatigue. NPCs collapse with exhaustion when their fatigue goes below zero. This could happen with drain fatigue spells, but damage fatigue could never reduce it below zero. Now it can, and NPCs typically will remain on the floor until the damage fatigue spell expires. - Strength-based hand to hand damage. Hand to hand damage was only based on the skill level. It now varies with strength. The damage is equivalent to original Morrowind damage at 40 strength and increases up to 2.5x at 100 strength. No longer multiplies werewolves' damage. - Disable map smoothing. Option to disable world map smoothing filter when used with map expansion. - Over the shoulder camera. Moves third person camera to the right shoulder. - Bump/reflect local lighting. Adjusts bump/reflection maps to use local lighting. They will no longer be at full brightness in dark environments. - Item weight display. Allows weight to be displayed to two decimals of precision. - Reduce camera clipping. Stops the third person camera from moving closer if an NPC (or activator) is between the player and the camera. - Larger service windows. Makes repair, recharge, and birthsign menus larger. Now increases the size of merchants' spells service and repair service menus. Increases the size of the birthsign menu to fit larger birthsign names. Increases the width of the stat review menu to allow larger race, class and birthsign names. The repair and recharge menu text alignment has been adjusted. Improves the text layout of the alchemy menu. - Soulgem value rebalance. Makes filled soulgems worth something more reasonable. Value is dependent only on soul magnitude. - NPC AI casts zero cost powers. Allows NPCs to cast their races' powers, making fights significantly harder. - Improved animation support. Allows better animation modding (see readme). The player can now display idle animations through the use of playgroup/loopgroup scripting. - Permanent barter disposition mod. Barter disposition changes on successful/failed transaction can now become permanent. - On-use ring smart equip. Allows rings with an on-use enchant to be equipped alongside two constant effect rings. - Allow scroll enchant price modifier. Allows enchanting services NPCs to charge a different price for cast once items, like scrolls. - Enchanted item rebalance. Reduces the effect that enchant skill has on item charge use. Updated: The enchanted item cooldown is 3 seconds, down from 4 seconds. Enchant skill 100 allows 1.66x casts from a full charge, up from 1.33x. The fading recharge icon has a clearer division between charging and ready. - Hidden traps. Turns off the display of trap status on object tooltips, so that there is no obvious warning of trapped objects. Probes will always use a charge when testing an object, even if there is no trap present. - Hi-def cutscene support. Allows mods to include cutscenes up to 2048x1024 (the default maximum was 640x480). - Japanese localization. Integrated patch by TObject. Allows Japanese language fonts in dialogue. - Ownership tooltip. Items you look at will show if they are 'Owned' or 'Faction Owned' in their tooltip. Faction owned items now show the rank requirement that allows you to take the item. Tooltip now shows an object is "Permitted" when rented or granted access instead of showing "Owned". - Creature voiceover modding. Allows creatures to play Hello and Idle voiceovers. Added ability for creatures to play Attack voiceovers.